The HTC One Android 4.2.2 update has been rolling out across the globe and we touched on this almost 2 days ago. Since then we have heard from a number of our readers about this Jelly Bean update and how some people have it, although others right near these locations don’t see any updates. Hit and miss — you only need to look in some of the most popular Google OS forums or on technology blogs to see mixed reactions to the rollout, which seem unclear to what countries have the HTC One Android 4.2.2 update. Some of our readers in Romania, Sweden, Jordan and Denmark have received Jelly Bean 4.2.2 on their HTC One but many other countries are hit and miss. 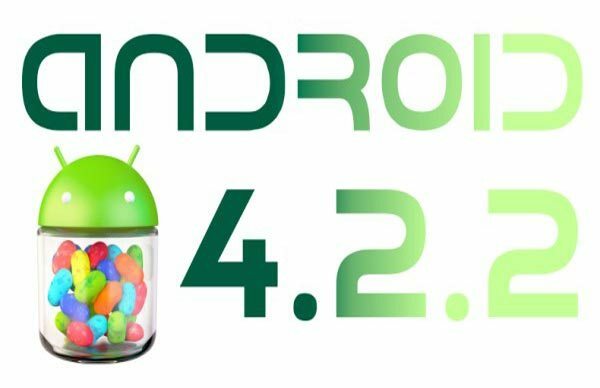 We have had feedback in relation to the download going live in the UK, and some people claim they have received the software upgrade but the majority of our readers haven’t seen the Android 4.2.2 update in the UK. One of our readers stated, “Nothing yet on my unbranded HTC One in London England”. The same can be said for Sprint and the HTC One Android 4.2.2 update in New York. We heard from 6 people in this area of the world that explained nothing has gone live, although we are unsure if this is the same for all of the USA. Within the last 5 hours, we received two emails that revealed Android 4.2.2 isn’t live on HTC One’s in the UK or Germany. If you are located in the UK or Germany, and have a HTC One with the Android 4.2.2 update then please leave a comment below with your town. Do you have the HTC One Android 4.2.2 update? If so, what part of the world are you in? i’m from israel and i didn’t get the update yet. I have UK HTC__001 & changed CID code to HTC__Y13 & got the updates immediately 🙂 then changed it back again. Hey Tim, how safe is this to do and have you had any problems ? Just got mine last night here in the Philippines. My phone is from Germany and no update yet. No Android 4.2.2 in Germany yet. Maryland, USA and no update yet. Unlock one in Norway, got the 4.2 two days ago. Nothing, damn I want this update. I was debating rooting just to get my quick settings back that I had on my old phone. Glad to hear I wont need to hear I don’t need to tackle the nightly builds. Oh, and I’m super glad I can show battery percent now, get rid of the settings bar on the screen, lock screen widgets and the fixed dock apps. The competition will have 4.3 out before HTC gets bloody 4.2.2 out on the One! Arkansas at&t and nothing here. We’re usually last though. Vodap102 Deutschland. Nothing here yet. I am almost starting to regret my decision of unrooting to get a firmware update. No updates yet. London, UK. Using unlocked htc one. Malaysia. As of now : 3.49PM. No updates. Absolutely zilch as of Jul 14 in New Delhi. Glasgow, UK… nothing so far! Just had the 4.2.2 update yesterday. I’m from Abu Dhabi. I have just checked on HTC one. No update yet. By the way mine One is Sim free. Updated yesterday. I’m from Serbia. You must look for update manually,it won’t show by itself. In settings/about/software updates , in case someone doesn’t know. How do you update using PC? In USA. Nothing yet on my unbranded One. I even tried pulling out the SIM to see if that made a difference. Same here in VA, USA. I will put mine in a microwave tomorrow and if it can get the updates. I got 4.2.2, three days ago here in Norway! staten island, Ny 4:02p no update yet. Live in Romania. HTC One from Germany. No update yet. Couple of minutes ago the update started to download after a manual check. In Israel, HTC one from Germany. Nothing yet. Nothing in Heidelberg Germany. Unlocked HTC One. Nothing in Peterborough, UK. On ‘3’. After all ive read seems like the UK won’t get it until closer to the end of July!!!. Hopefully im wrong though. No update on T-Mobile, Los Angeles, CA. Closer to end of July!!! HTC UK , Why only UK every time? Nothing on unbranded htc one in Zimbabwe. Nothing in KSA yet , KHOBAR, I am checking every few hours.. Nothing here in Bangladesh, done the manual checking… replies your phone is up to date..
Yep, just got it myself in the UK (unbranded, unlocked, contract free from Phones4U, in Bath – CID:htc__001 – if any of that helps). Finally landed on for me on my unbranded HTC One from carphone warehouse! London, UK. Finally got it in my unbranded HTC one in Nottingham Uk an hour ago. I got the update on unlocked htc one about an hour ago awesome! I got the new update in KSA but I used Hotspot shield VPN.. as trick.. Updated and installed in Greece on unbranded HTC One. New Delhi, India: Updated to 4.2.2 on my HTC One yesterday. Its US the last country to get this, terrible on HTC’s part and the sole purpose of buying an unlocked handset has gone in vain. No update yet. Quebec, Canada. What about Canada? And Dubai?